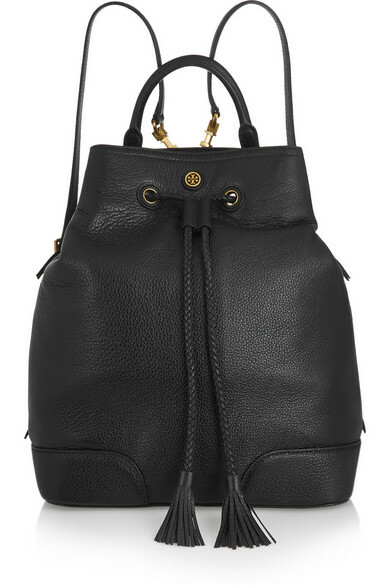 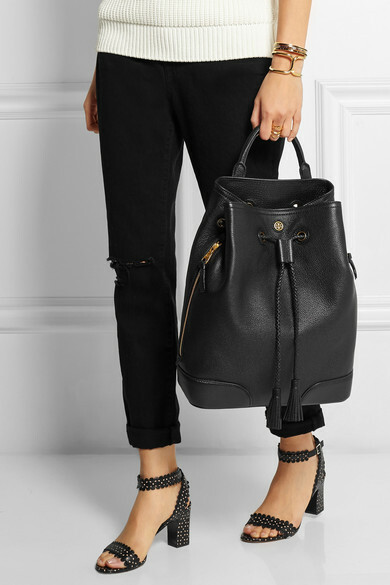 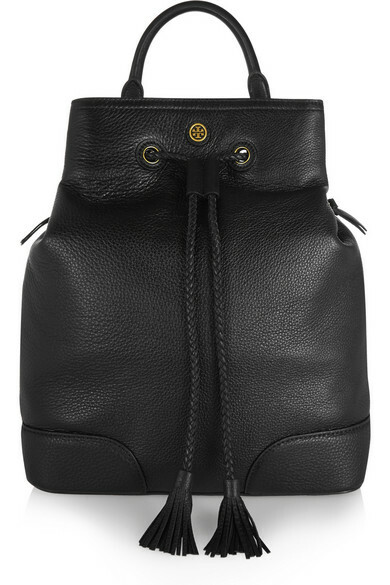 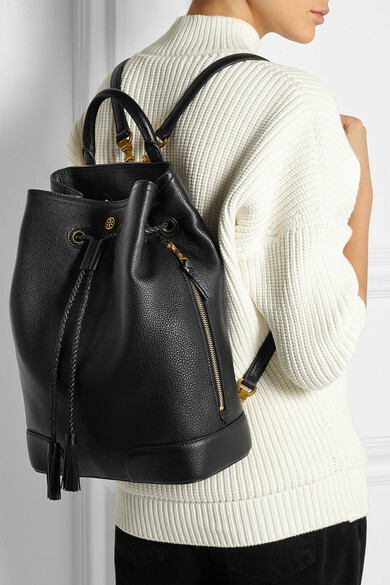 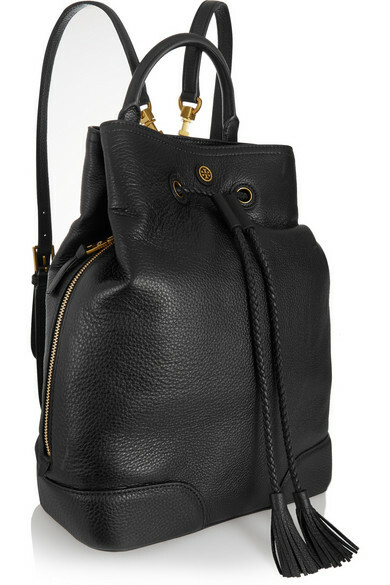 Tory Burch's 'Frances' backpack is crafted from luxurious yet durable black textured-leather. 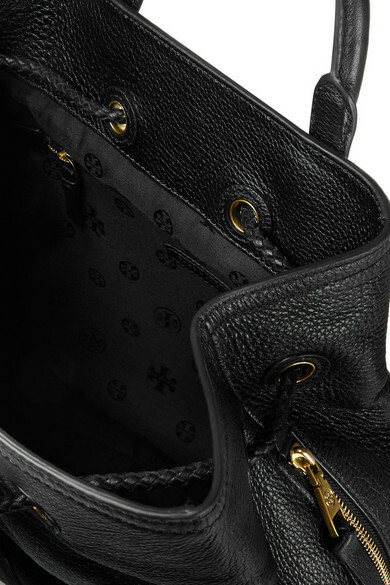 Slide your tablet into the spacious interior and keep your keys and cell close at hand in the two side zipped pockets. 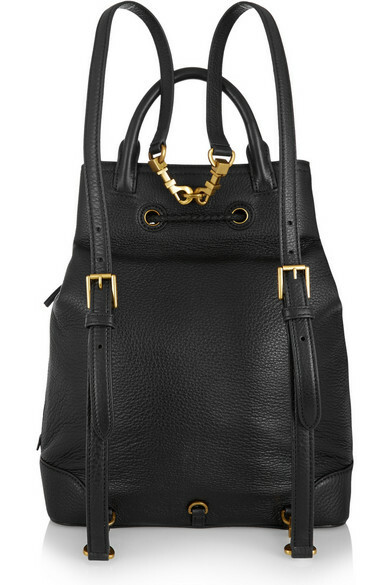 You can detach the shoulder straps and carry it by the top handle for styling versatility, too. 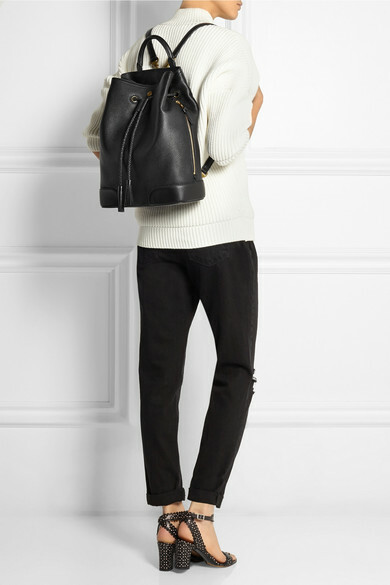 Shown here with: Victoria Beckham Sweater, Frame Denim Jeans, Tabitha Simmons Sandals, Arme De L'Amour Ring, Eddie Borgo Bangles, Chloé Cuff.